I was a little sceptical when I heard that Globe-Trotter was expanding into leather goods. 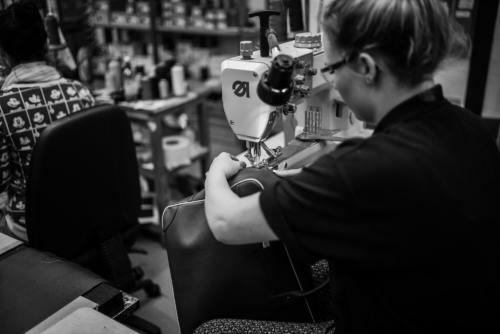 It made business sense – lovely as the suitcases are, they are never going to be more than an occasional purchase, and the leather would fill out the range. But it suggested pure brand extension – using the Globe-Trotter name to sell a lot of handbags and wallets embossed with the brand logo. I was wrong. 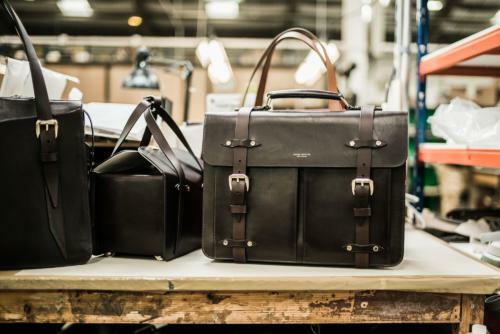 What Globe-Trotter actually did was buy one of the few remaining leather manufacturers left in the UK and rescue it from obscurity. That was three years ago, and at the time the factory’s biggest customer was Smythson. It still does third-party work – particularly leather desk sets for hotels and specialist bookbinding. 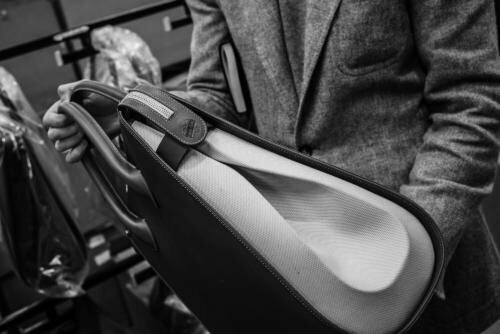 But since the two factories (board and leather – hard and soft) were combined in December 2012, the team has expanded hugely to deal with Globe-Trotter’s new leather-goods designs. Women will be more familiar with this side of Globe-Trotter than men, with the Propellor series of bags already on release (handbag shown above). There are men’s cases and weekenders on the way, however, and the quality is high (early prototypes below). 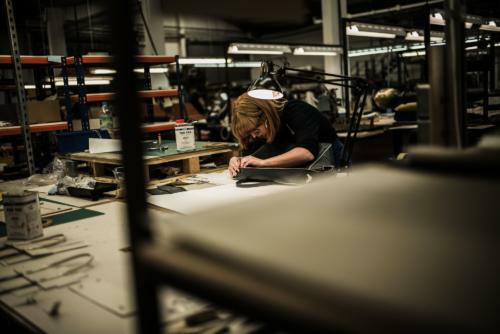 Globe-Trotter is now the only factory in the country doing hand-inked edges at scale – there are several in France and Italy but none in the UK. The only others doing hand-inking are hand-sewn operations such as Dunhill and Simpson’s. Even for non-inked bags, the only other large leather factory I know is Mulberry, and that’s only a fraction of their production. Inking requires multiple layers of hand-painting along the cut edges of the leather, with periods in between to let each one dry. (See Hermes post here for more detail.) The alternative is a heavy glue, which will crack after a year or two of heavy use. Two other quality points I liked concerned the zips and zippers. The zippers, although pressed metal rather than cast fitting, have their press marks (the seam down the middle of the zipper) polished off to create a smooth surface on the top. And the ends of the zips are sewn closed rather than using the standard metal bar to finish them. It’s a small, purely aesthetic thing, but nice nevertheless. On the women’s pieces, the leather is a gorgeous tan-coloured veg leather, with fine white stitching. It reminded me heavily of Hermes, which it seems is no coincidence – the French house is MD Jeff Vaughan’s inspiration for the development of the line. If I have any criticism, it is that the canvas used has a plastic coating, which takes away somewhat from the tactile experience. But I will reserve judgment for the release of the full men’s range. You can follow the discussion on Globe-Trotter leather bags by entering your email address in the box below. You will then receive an email every time a new comment is added. These will also contain a link to a page where you can stop the alerts, and remove all of your related data from the site. Mr Crompton. Thank you for the heads up on P. A. Crowe’s valeting. I’ve just left a couple of suits for. TLC. Whilst there I saw some wonderful Lessers flannel.